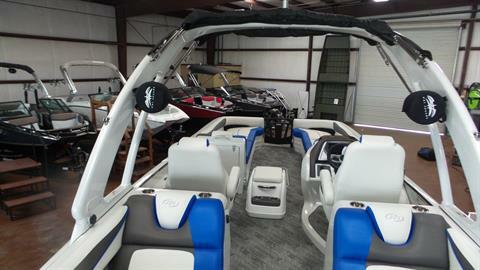 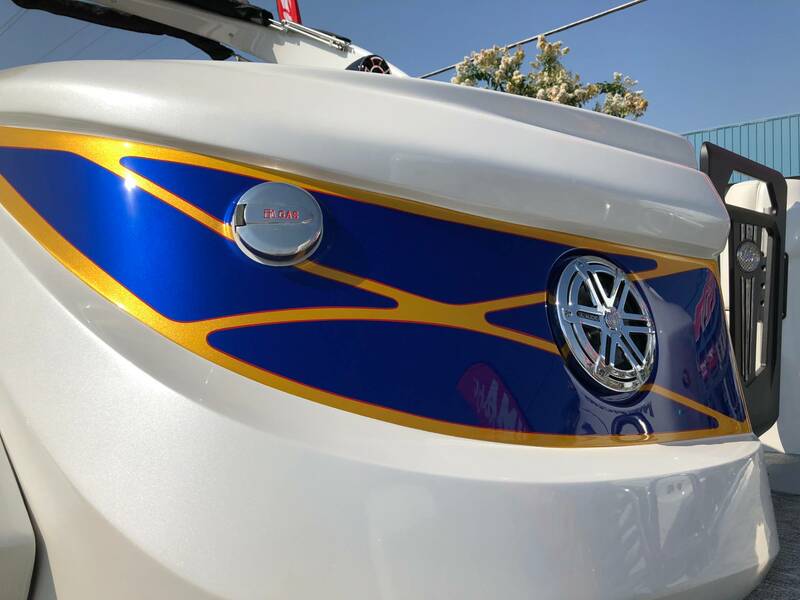 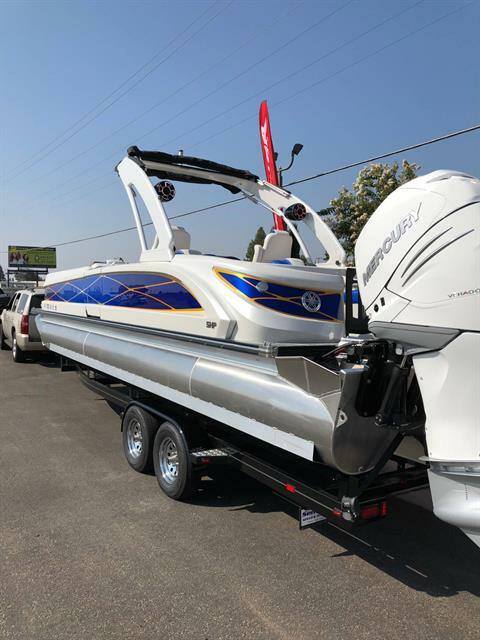 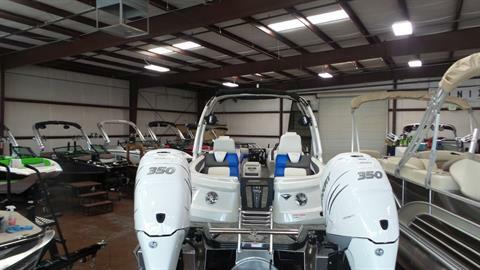 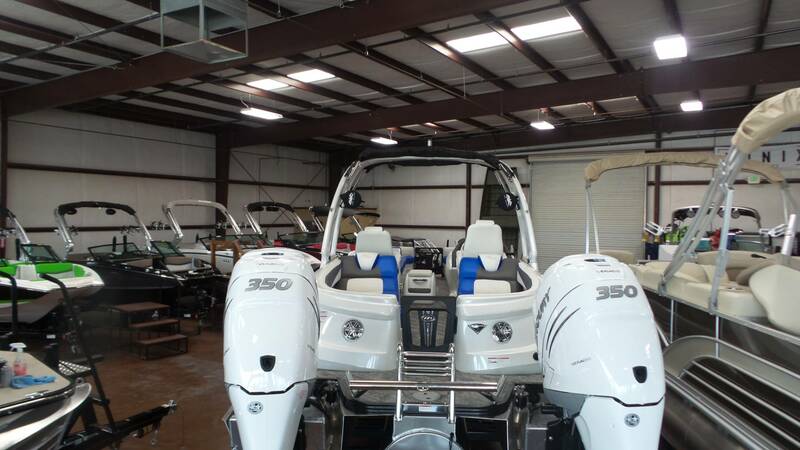 TWO MERCURY VERADO 350 HP ENGINES! 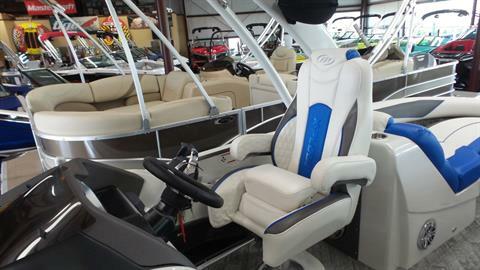 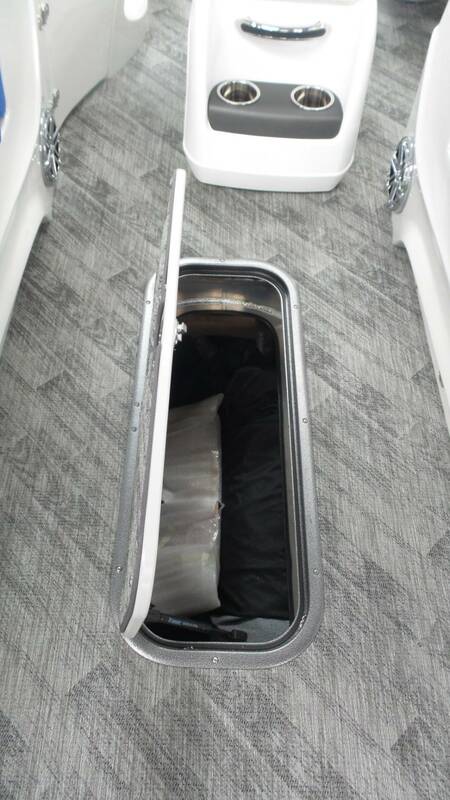 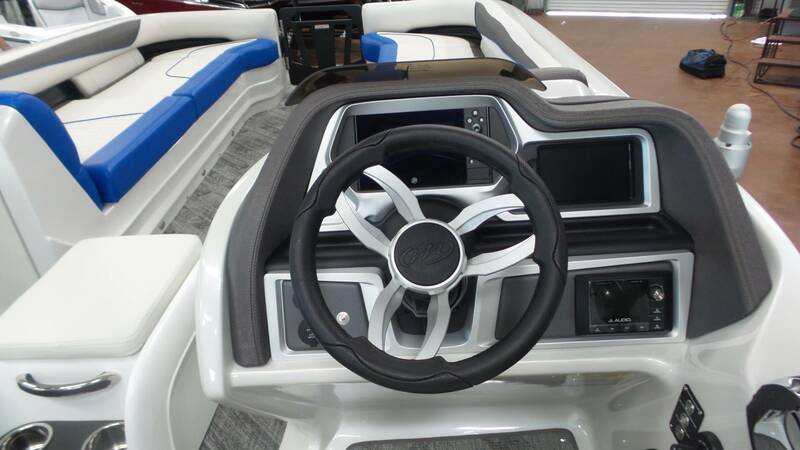 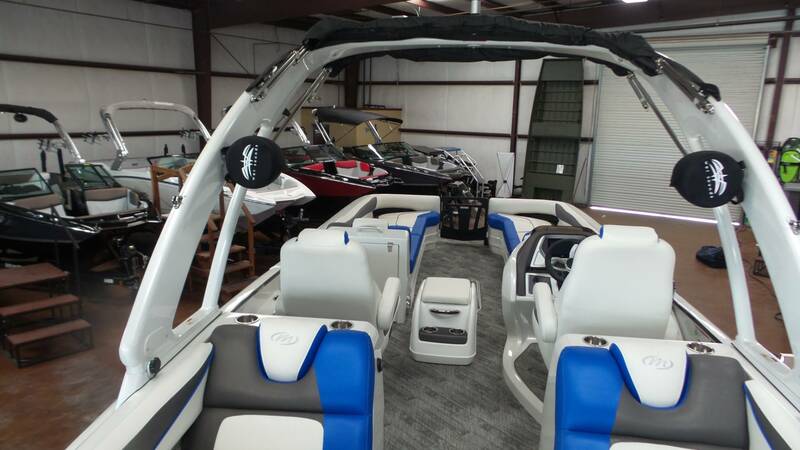 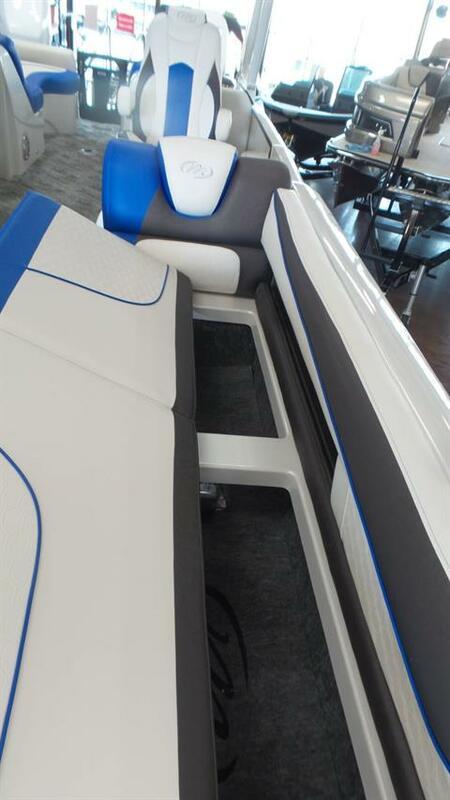 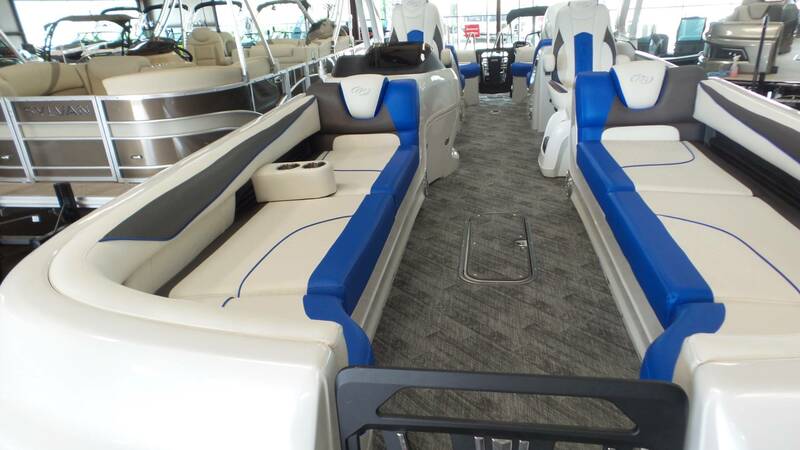 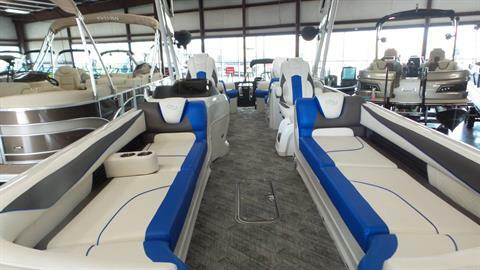 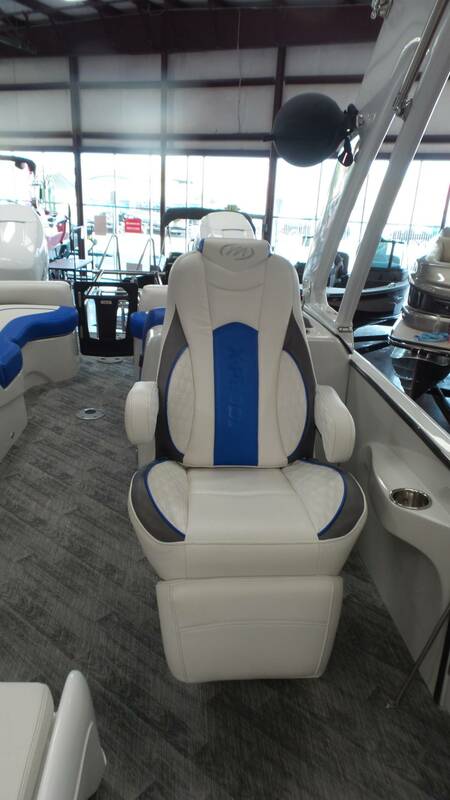 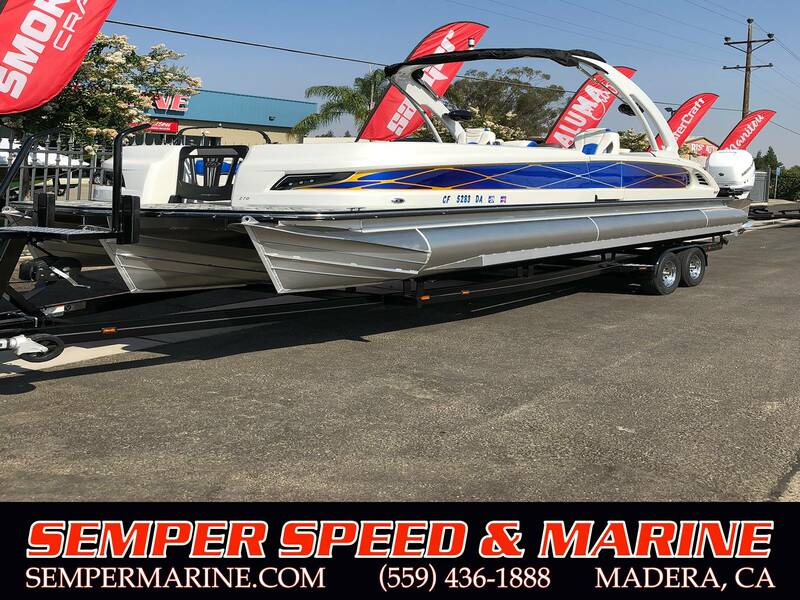 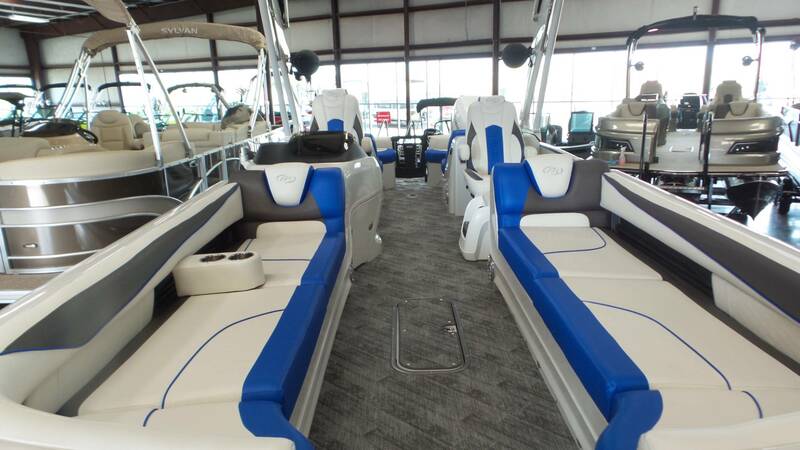 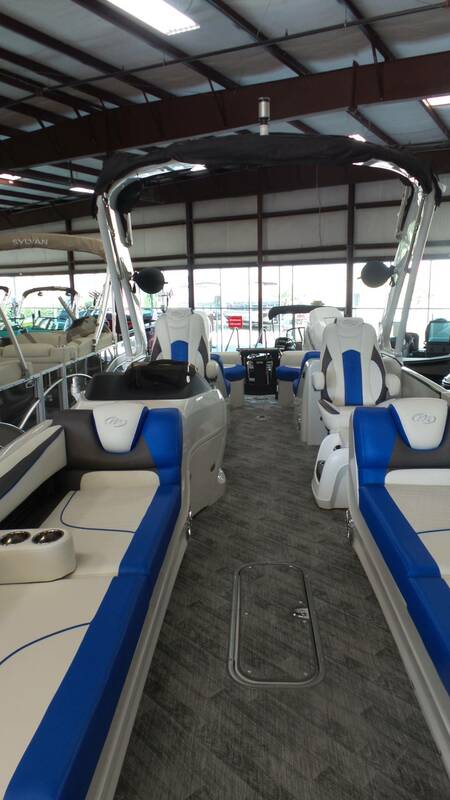 Standard Features Include: 12 Volt Outlet & USB Port, Soft Side Cooler, Stainless Steel Cupholders, Custom Marine Vinyl, Dinette Table, Extended Starboard Chaise, Chaise with Flip Up Arm Rests, Rear Entry 4-Step Ladder, Powder Coated Walls, Privacy Station Assembly in Chaise, Ski Tow Bar, Built In Waste Basket, Mooring Cover, Stainless Steel Corner Castings, Stainless Steel Mooring Cleats, Deck Draining Wall Spacers, Deluxe Kicker KMC10 Bluetooth Stereo and 6 Kicker, Speakers, and additional features to make sure you enjoy your new lake life! 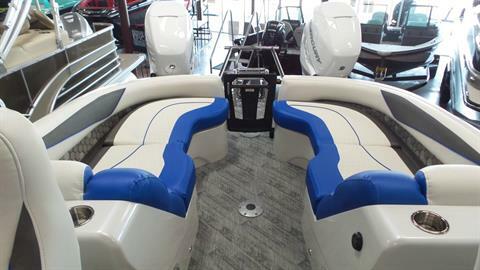 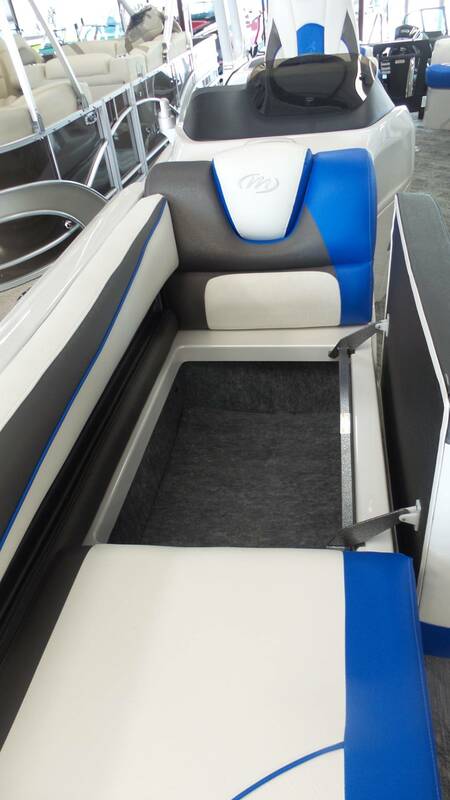 The RFX floorplan takes our popular RF layout and classes it up a bit with rear fiberglass pods in place of the standard benches. 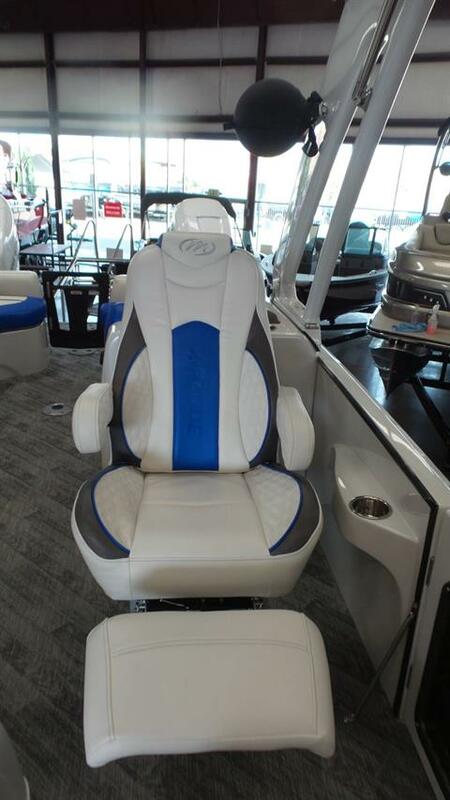 This maximizes your seating for guests and your shore appeal for the Joneses.